Over the past month I have been collecting various bits and pieces to make my room feel my own. 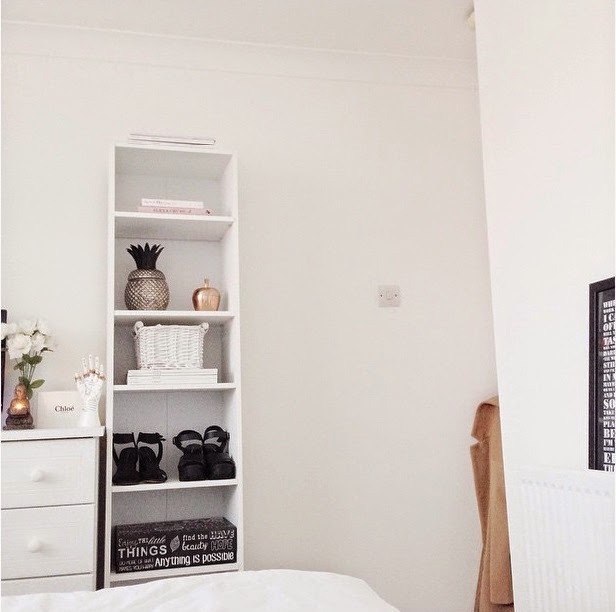 With lots of help from Pinterest I know exactly how I want my room and future interior in the future. Itching to have my own place to sort out. 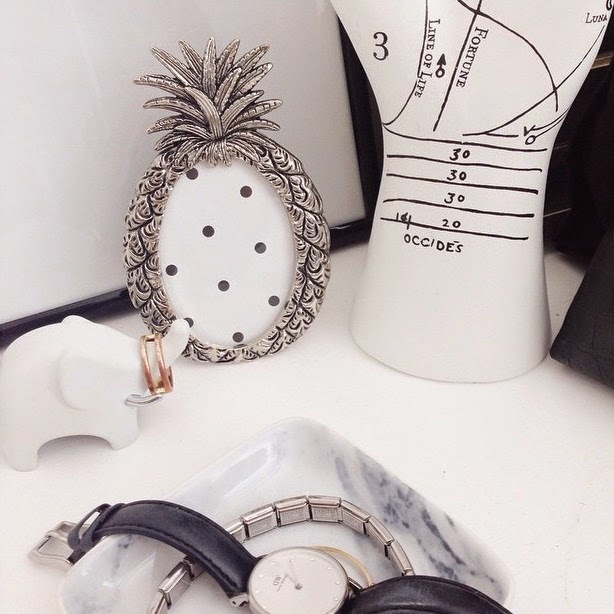 I'm still loving the pineapple hype and I spotted one in NEXT a few weeks ago along with a rose gold apple. Quirky editions to go onto my bookshelf - I just need a green plant on there too. Books, Vogue mags and shoes also on display too. 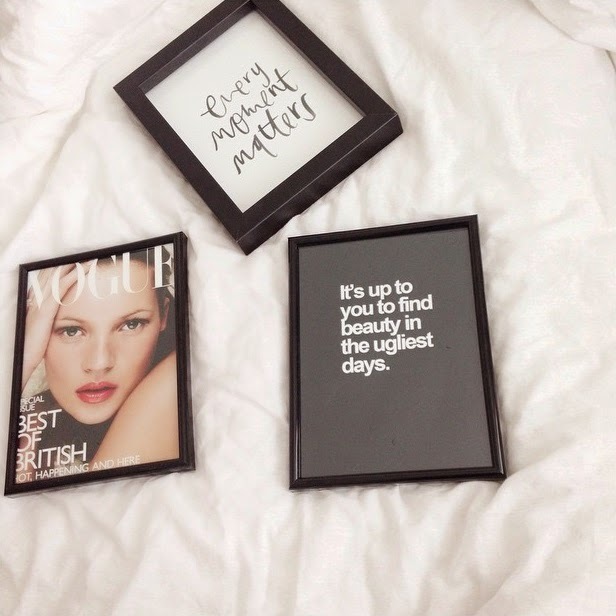 My walls are white and I am putting together a range of frames with inpo quotes in and fashion icons. I will put these all on my walls like some sort of collage I guess! Can't wait till that comes all together. Examples below. 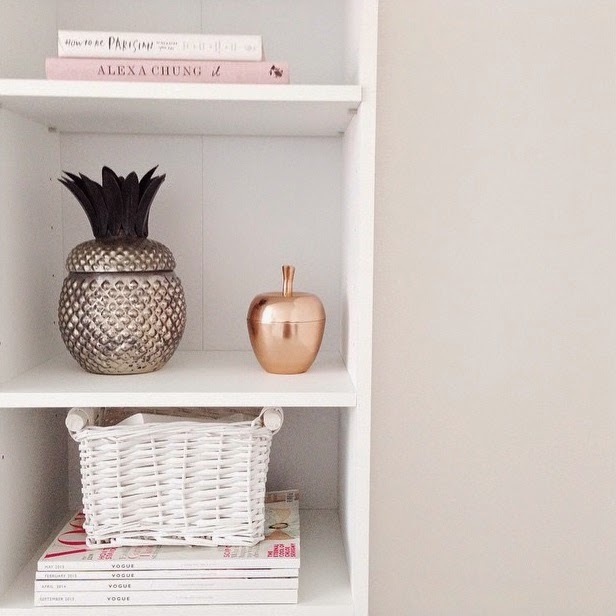 I am also obsessing over pineapples for my flat right now! I need to head to next!